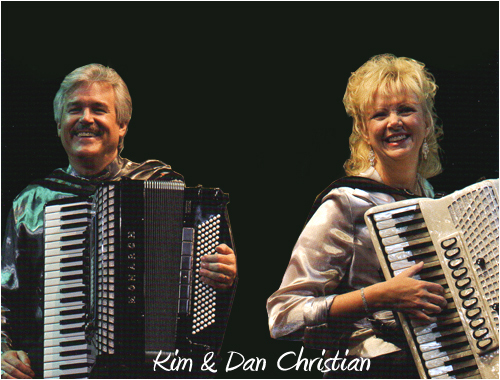 Music Makes the World Go Round.. a breathtaking production encompassing music and dance from around the world, featuring virtuoso Accordion Artists Dan and Kim Christian! 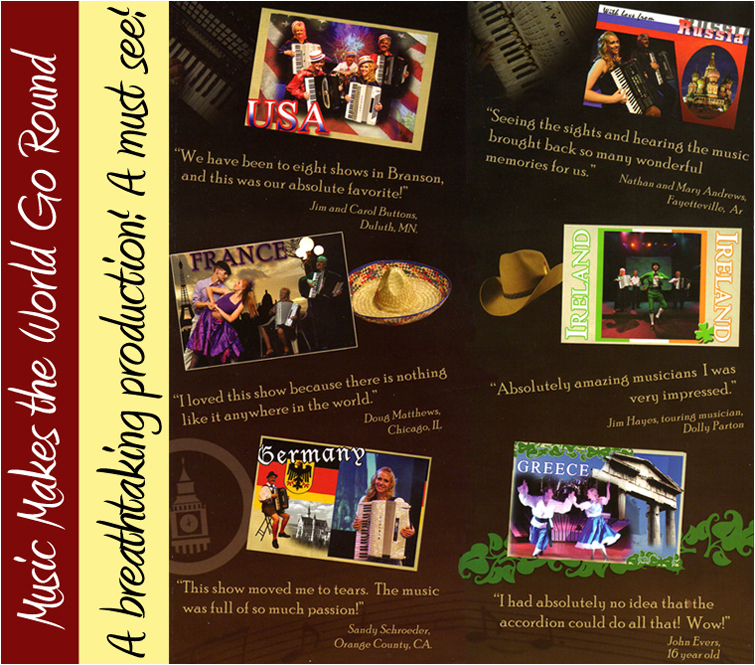 Music Makes the World Go Round is an exciting production that takes the audience on a World Tour of 14 different countries! You'll enjoy the sights, dances, costumes, singing and gorgeous live music of several countries including France, Germany, Italy, Ireland, Spain and America just to name a few! Experience cultural dances such as an Irish Jig, an Italian Tarantella, a Spanish Flamenco and many more.... visit a German Oktoberfest, a Venetian Gondola Boat, the Greek Acropolis, a Japanese Geisha and more.... enjoy all the best of American music including Big Band, Cajun, Gospel, Country, Rock and Roll and an awesome Military Tribute. 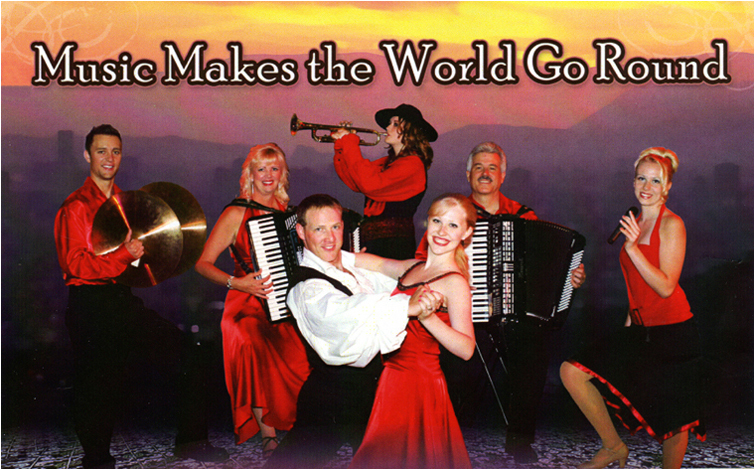 You'll be absolutely intrigued with this production, which boasts a cast of 7 members featuring National and World Bronze Medal accordions champions Dan and Kim Christian and their amazingly talented daughters. The magic of midi instruments transports the accordion into a dazzling array of instruments including church organ, banjo, guitar, piano, trumpets; you name it! People are amazed at the versatility and virtuosity of these fantastic artists. You've never seen or heard anything like it! It's a must see!! !